The number of forcibly uprooted people rises every year. 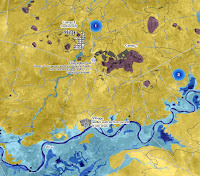 Humanitarian action as one part of the response to this situation relies on targeted, up-to date and reliable information to handle this challenge. Within precursor activities and a close collaboration with Doctors without Borders (MSF), Z_GIS has started developing Earth-observation (EO) based solutions for the humanitarian sector several years ago. Thereby we address the following challenges: (1) large numbers of refugees and internally displaced persons (IDPs) worldwide live not only in camps, but more than half of the world’s refugee population under UNHCR mandate lives in urban settings, (2) monitoring of environmental resources like groundwater or wood reserves is a concern of humanitarian actors, but the current EO-based solutions are seldom automated and therefore do not tap the full potential of the immense amounts of satellite data, and (3) there is an increasing demand for a diversified product portfolio within a growing user community. 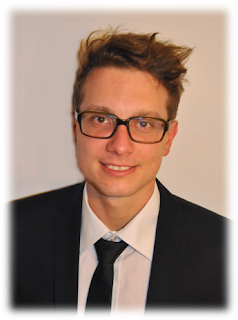 The aim of the recently started project EO4HumEn+ is to implement more automated routines to exploit the data stream of e.g. 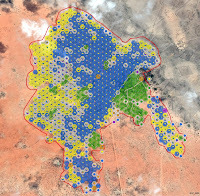 the Sentinel mission, improving the capabilities of EO methods to provide realistic population estimations also in urban areas as well as extend the established service portfolio to the diversifying needs of the humanitarian community. The project closely cooperates with a wide range of NGOs including ICRC, the Austrian Red Cross, SOS Children’s Villages, MSF and Groundwater Relief. 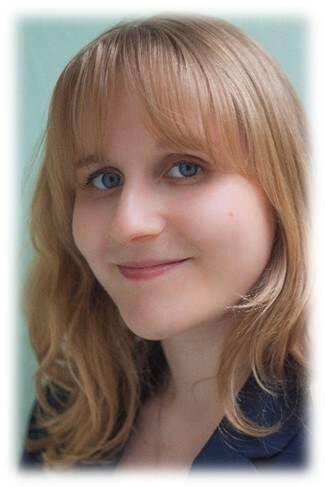 For more information and Press Release, please see the following link. 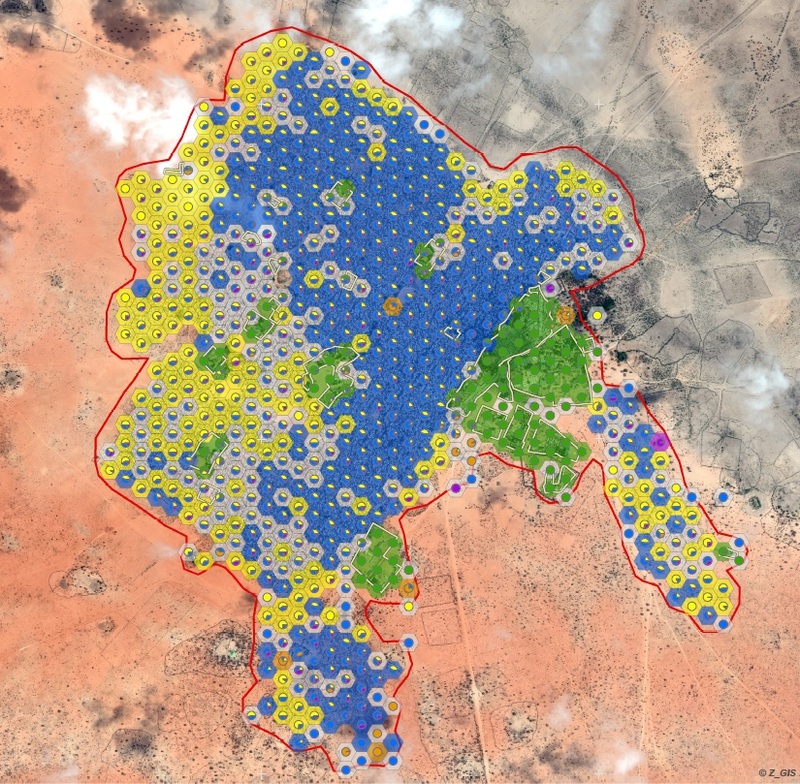 Z_GIS finalized a spatially explicit vulnerability assessment for climate change adaptation in Mauritania; with the German Federal Enterprise for International Cooperation (GIZ) as a client. 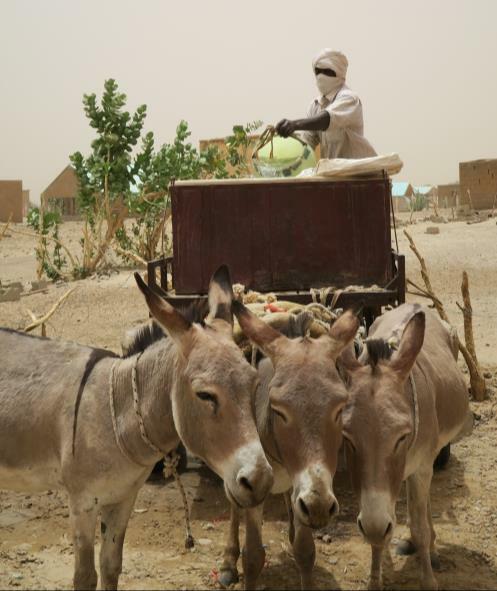 Although the living conditions in the Sahel are difficult and extremely dependent on weather conditions, especially in rural areas, adaptation to climate change is a key issue to address in the wider development context. To alleviate this issue, the German Federal Enterprise for International Cooperation (GIZ) initiated a project to assess how the capacity to adapt to climate change in rural areas can be improved. The main objectives were to support key national actors in the design and implementation of adaptation measures identified within national planning processes and to strengthen intra- and inter-sectoral cooperation. 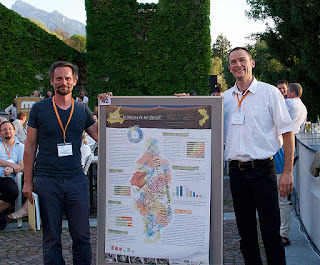 In a joint consortium with adelphi from Germany, the Department of Geoinformatics – Z_GIS at the University of Salzburg carried out a spatially explicit vulnerability assessment to climate change for the two main livelihood sectors of Brakna and Assaba: agricultural and pastoralism activities. 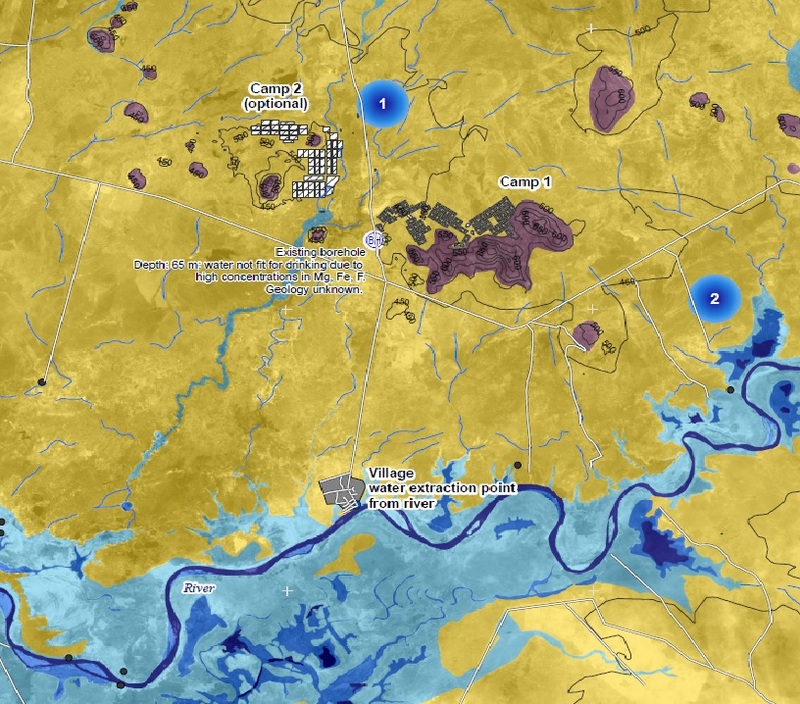 The assessment integrated a variety of different spatial datasets and established vulnerability maps for present-day and future conditions. Based on a participatory approach, the assessment followed the recommendations of the ‘The Vulnerability Sourcebook’, a guidebook made by GIZ, which provides step-by-step guidelines to conduct vulnerability assessments (available online). 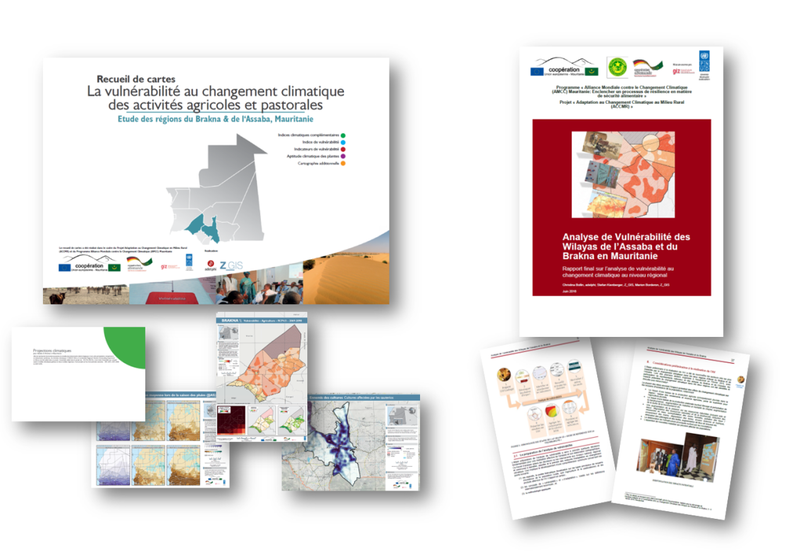 The final results, comprising a substantial map collection and a report with the detailed recommendations on specific adaptation measures as well as its methodology appendix were officially presented on June, 22nd 2016 in Nouakchott, in front of the national and regional key stakeholders, especially from the Ministry of Environment. 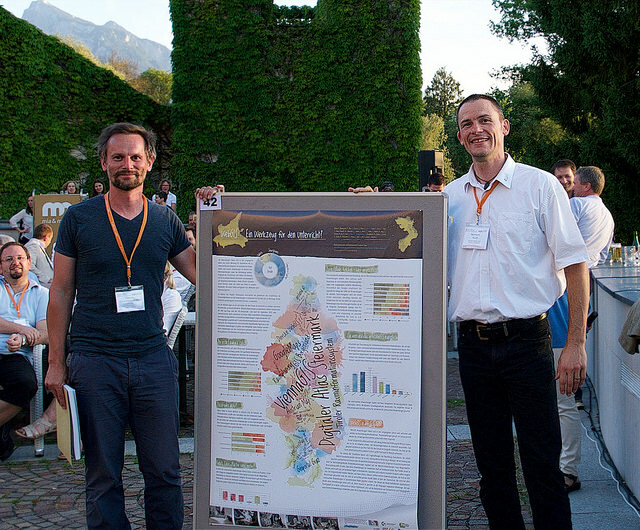 3rd (60 votes) #38 "Volunteers on the move with mobile GIS" by Doris Payrer and Bernhard Klingseisen (State Heritage Office, Western Australia). Thanks to everyone participating as authors as well as with their votes, and to Hermann Klug managing the competition! We are looking forward to an equally competitive field of outstanding entries in 2017! 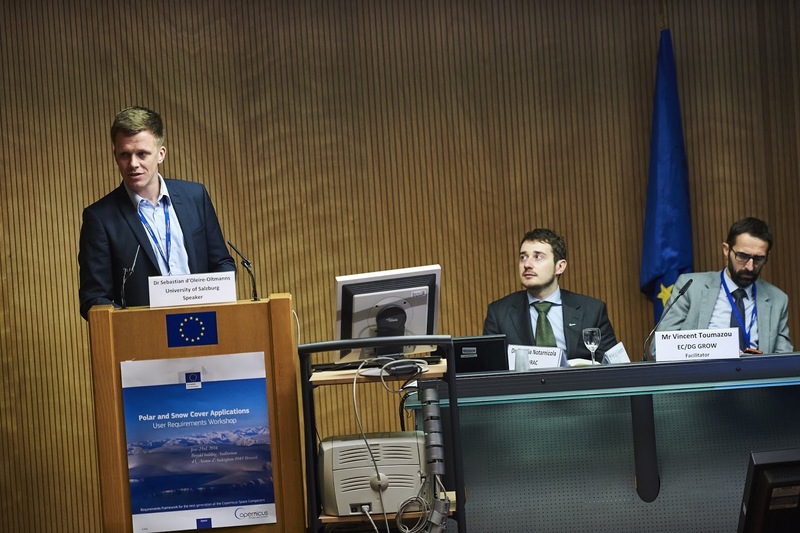 In cooperation with the NEXTSPACE team and a number of different institutions Z_GIS supported the organization of the Copernicus Polar and Snow Cover Applications User Requirements Workshop that was held at the Breydel Building, Brussels. 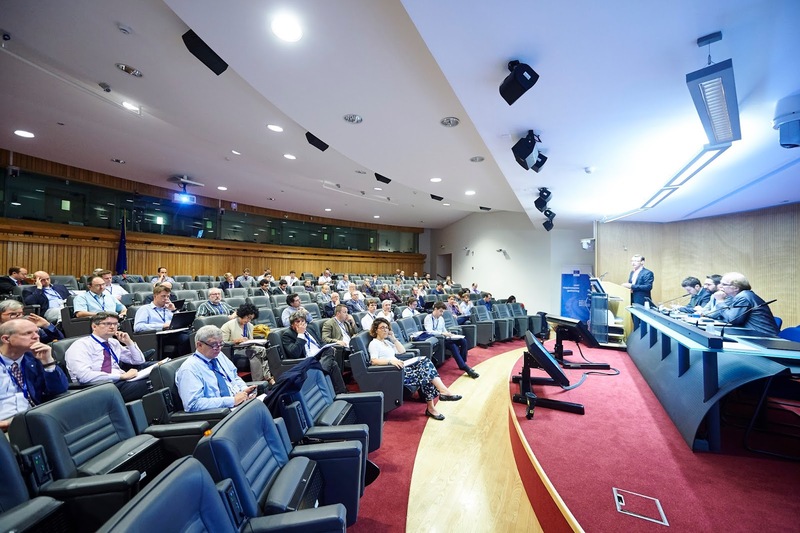 The European Commission (EC) aims at gathering user requirements to be potentially addressed by the Next Generation of the Copernicus Space Component. Sebastian d’Oleire-Oltmanns held a talk on cross cutting needs of both application domains. 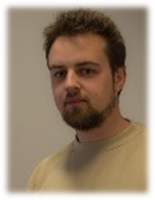 As a distinct example for snow cover monitoring he presented recent outcomes of his work where he applies UAV-based remote sensing for deriving snow heights in alpine regions. 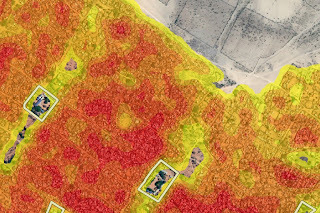 This application may be regarded as an important example for reducing the distance between field scale and satellite scale as well as providing accurate reference data for modeling applications. 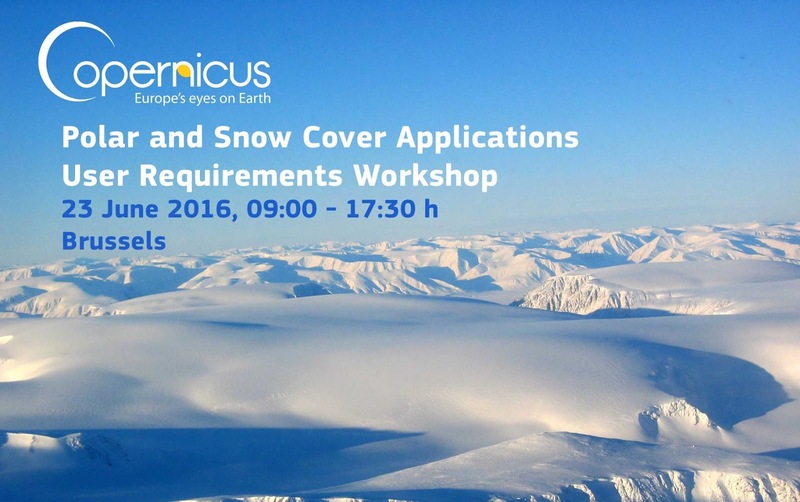 All presentations may are available at the workshop homepage: http://www.copernicus.eu/polar-snow-workshop.